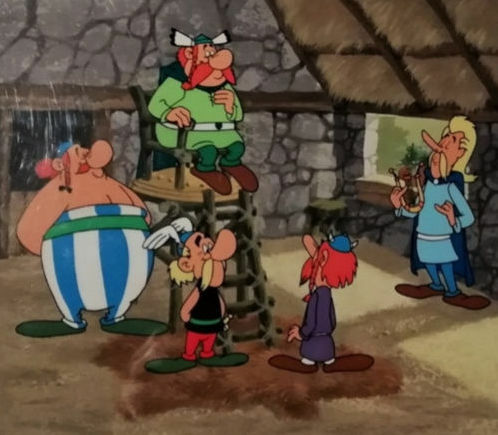 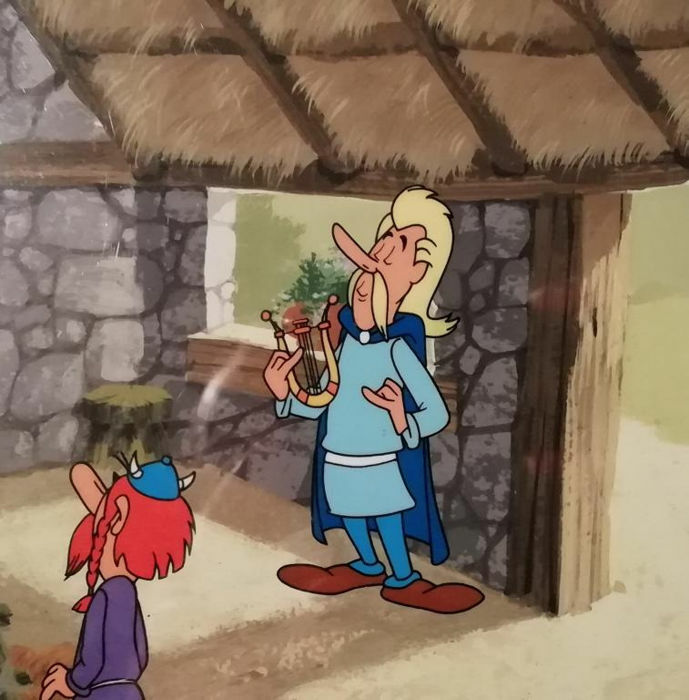 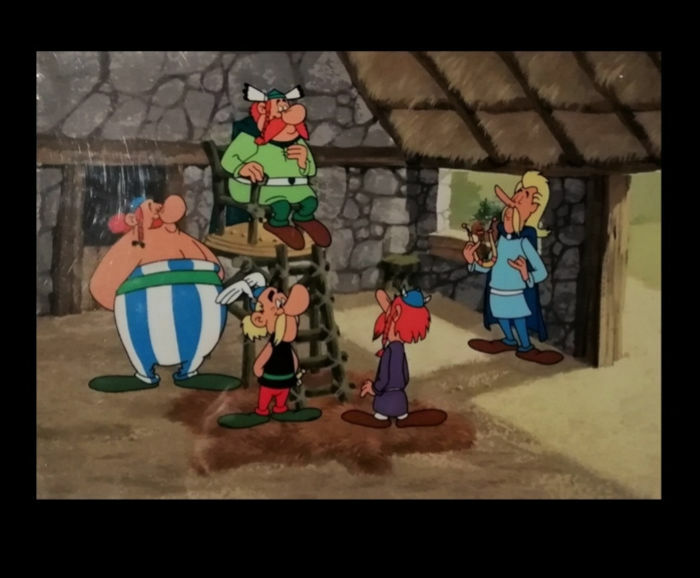 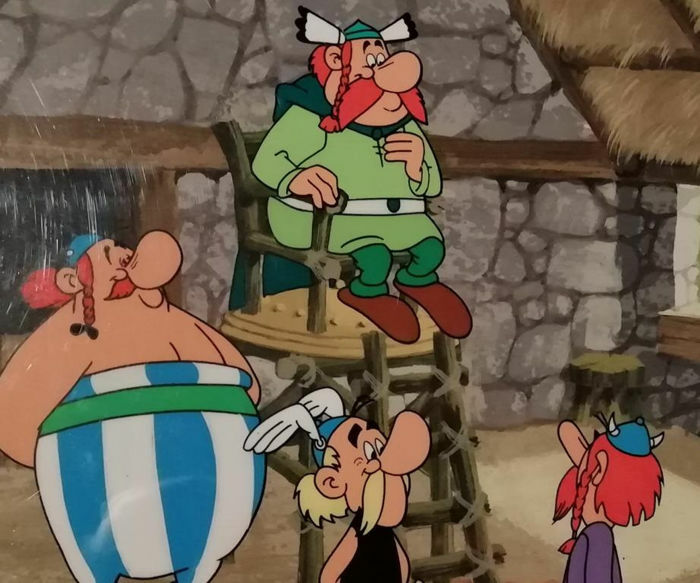 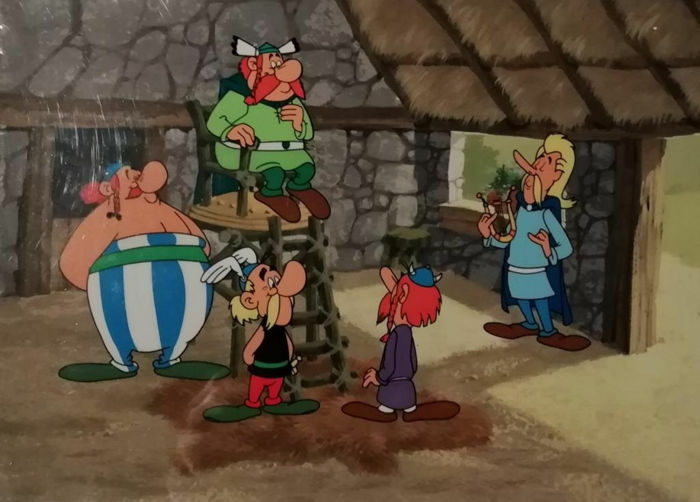 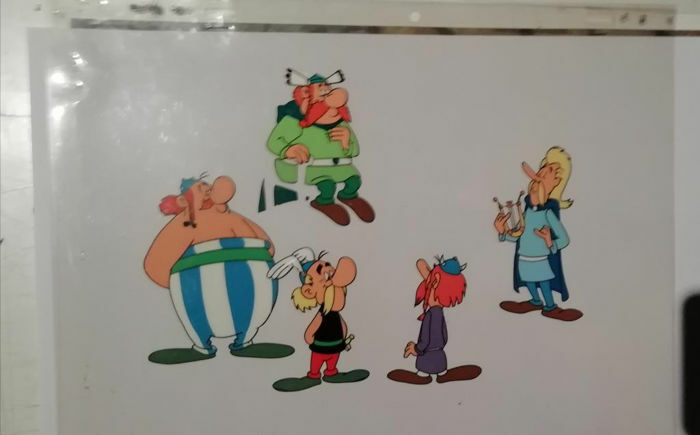 From the ‘Asterix the Gaul’ cartoon, directed by Claude Lambert. 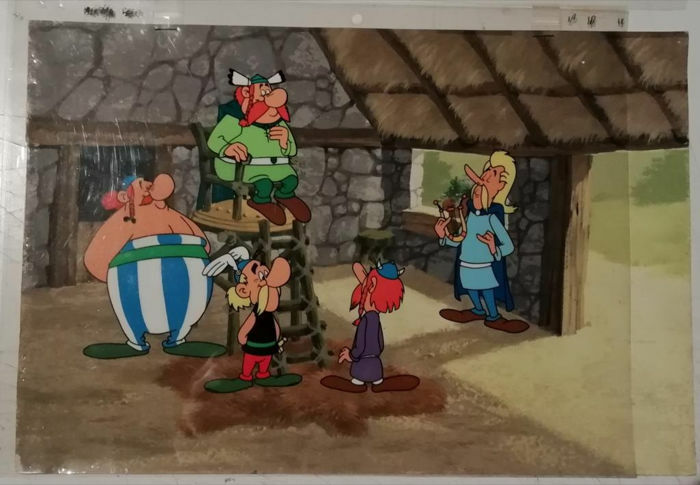 The set consists of 3 cels and a setting design. 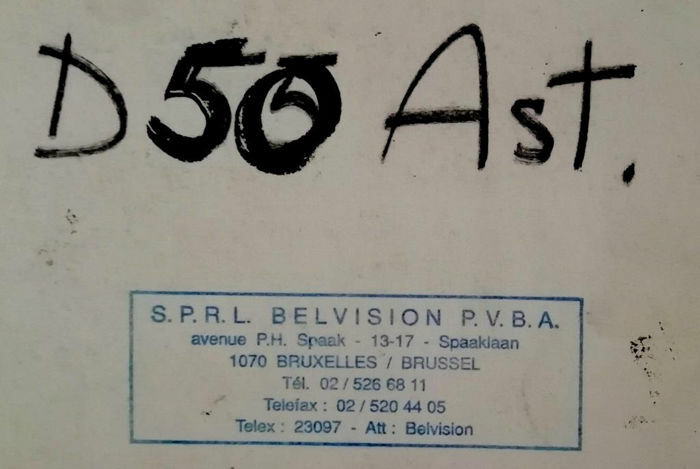 Belvison stamp on the back. 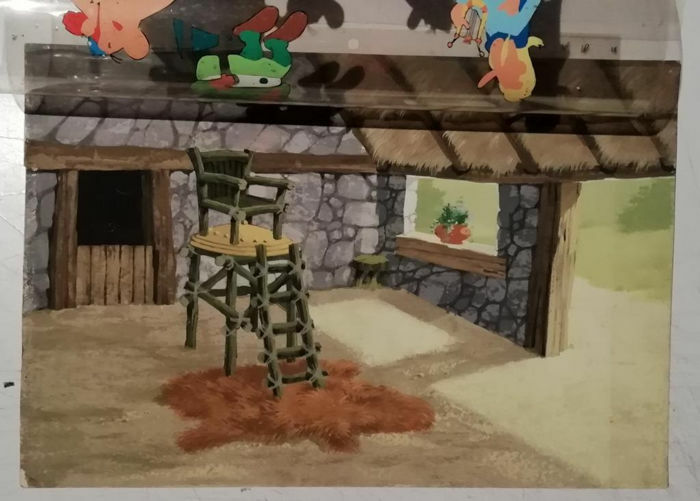 Gouache, in very good condition.